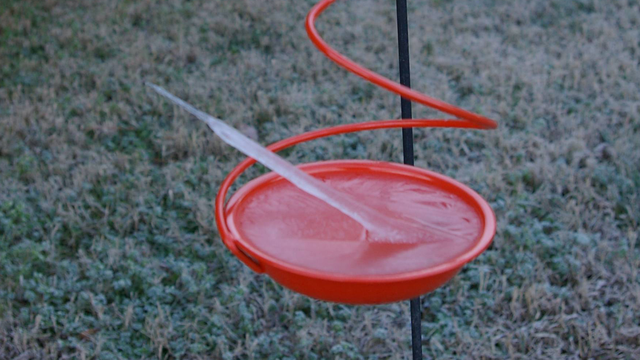 Did you know that sometimes, when water freezes, it can apparently form spikes? They look like little upside-down icicles! They just grow out of the ice as it freezes -- in total disregard of things like gravity... and sense. I had no idea this could happen. I'm from the great white north, and I've filled my share of ice cube trays, but I've never seen anything like this! 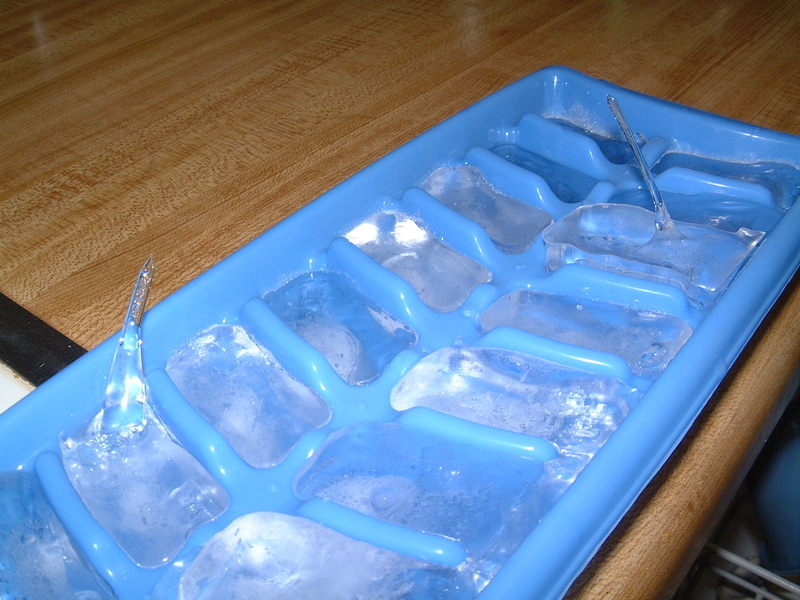 My first reaction was to run to the kitchen, dig out some ice cube trays, and make some spikes. Because, obviously, that's stinking awesome. But then my type-A side took over and said, "Hey, maybe find out how it works first, that way you'll know how to maximize the ice-spike potential." Here's the thing, scientists still DON'T KNOW exactly what causes ice spikes!! It's uncharted territory!! How cool is that?!? As far as I can tell, there has only been one published paper on ice spikes. Do you know what that means? That means you or I could be the one to discover the secrets of upside down icicle thingies! The working theory right now is called "the Bally–Dorsey model". You can read up on that here. So far, they've figured out that in the lab, distilled water seems to yield the most spikes. But that doesn't explain the spikes that people find in their backyard birdfeeders, dog bowls, and buckets. There is science to be done, people!!! Get crackin'!